Intensive French courses year-round in small groups (6-12 max.) for all ages, personalized attention, high standards, current themes and engaged teaching methods let students practice a language that's up-to-date and real. Established in 1991, Langue Onze Toulouse is located in the historic centre of the beautiful 'Ville Rose'. 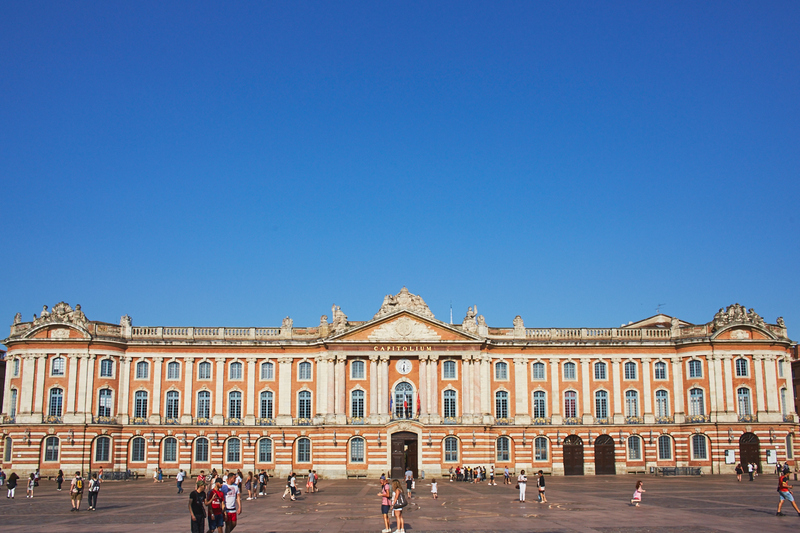 Visitors to Toulouse will experience a rich mix of traditional French lifestyle and the latest in contemporary French culture. The school occupies 2 levels of a lovely 19th century building, 8 bright air-conditioned classrooms, student lounge, library and computer lab with free internet. Our professional accommodation service includes free airport transfer. Langue Onze Toulouse has obtained the label "Qualité français langue étrangère, delivered by the French government. We are a member of Campus France, accredited by the Groupement FLE and the TANDEM International network of quality language schools, and approved by CSN Sweden and Bildungsurlaub in Germany. In addition to General and Business French, we propose Special Combined courses: French & Cooking, French & Oenology, Exam prep (DELF-DALF, TCF…) and for young students, Junior summer courses and custom-tailored 'study abroad' programs for school and university groups. Tandem conversation exchange with local French students is a free service. If you are seeking professionalism, creativity in language teaching, and a unique location to learn French, Langue Onze Toulouse is the place to go. A French program ideal to develop your skills in French language, to get to know better the particularities of French culture and to exchange views. This Intensive Plus French course is available all year long in our French language school in Toulouse. The Intensive Plus classes are held over 27 group lessons a week of 45 minutes each, every morning from 9.15am to 1pm, and are accompanied by 2 afternoon workshops (4 lessons of 45 minutes in small groups) taking place Tuesdays and Wednesdays (or Tuesdays and Fridays for beginners A1). The combined French course is specially tailored if you wish to develop a working knowledge of general French and if you need French for professional or academic objectives. The combined professional or academic French course is available all year round in our French language school in Toulouse. This combined Professional or Academic French course comprises a minimum of 31 group lessons a week of 45 minutes each. It consists of a French intensive course every morning (23 lessons per week / 45 minutes each) and of individual sessions of professional or academic French in the afternoon, one-to-one lessons with a French teacher (6 – 8 individual hours per week). The Individual French Course is tailor-made if you wish to obtain a working knowledge in general French, for your studies, your work or your daily life, and want to work, in an individual way, on one or two skills of your choice to better communicate in French. This Individual French Course is available all year round in our French language school in Toulouse. The minimum length of the Individual French Course is 1 ½ hous per week one-to-one with a certified and experienced teacher. You are between 14 and 17 years old and wish to go on a French language course during your summer holidays to improve your French. Study French and enjoy an unforgettable experience by meeting people and learning at the same time: choose our junior French summer course! You are teaching French in your country. French is not your mother tongue and you are seeking to continually improve your professional skills, as part of the vocational training, a European project (ERASMUS+) or for personal purposes. Choose our French language school and our experienced teachers to update your teaching strategies while enjoying Toulouse and its unique cultural environment!